16. And I got the right image this time. Mousewheel is wonky as hell. it’s kinda weird – once you see them, you can’t un-see them. cool trick. As many as there are. Oh… wait… Is this some kind of trick question? Can I call my lawyer? 50:50 joker? 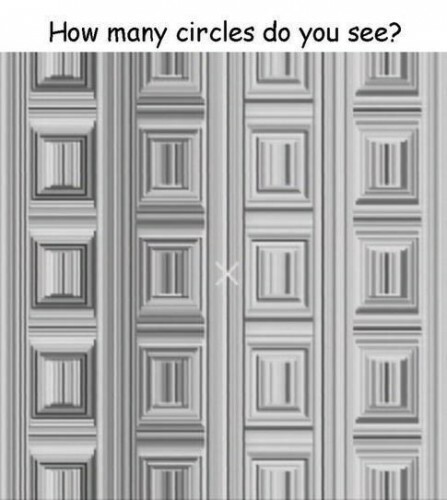 Do not try to see the circles — that’s impossible. Instead, only try to realize the truth: there are no circles.